Beauty Care Choices: Liquid or Powder Eye Shadow??? 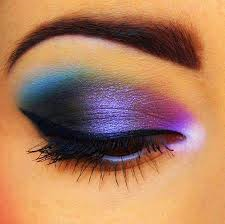 Have you ever envied someone whose eye shadow looks gorgeous and perfectly blended with clear colors. Then, when you try to copy it you end up with a smudgy mess. Well we have some tips for you that might just make your shadow the envy of others. A good powder eye shadow is heavily pigmented. The color reveals itself with the first stroke and will not fade. As a rule, matte eye shadow has a more sheer texture, while shimmer (in the form of mica particles) gives eye shadow a rich texture that intensifies its color. For easy application, and to increase staying powder, prime your eyelids with foundation or some eye cream followed by powder. Apply thin layers of eye shadow with a dry sponge applicator, and then blend with a brush. This way you avoid eye shadow falling off the brush onto your face and spoiling your facial makeup. You also keep your brushes clear of color and ready for blending. a thick springy flat brush for applying highlighter and for precise blending. 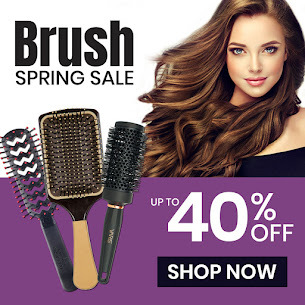 a soft rounded brush for erasing demarcation lines by removing excess makeup. Choose your brushes according to the size of your eyelids; the larger the area you have to work on, the bigger your brushes will need to be. Liquid or creamy eye shadow should have a lightweight texture that is easy to apply and blend. It must dry quickly to avoid it gathering in the creases. Waterproof liquid eye shadow has the best staying power. Fluid texture is best for single color application. Because this type of eye shadow blends so well, don’t use it for more than two colors, as three shades will create a greyish mess on your eyelids. It may also occur if you use fluid creamy eye shadow together with creamy eyeliner, or an eye pencil that is too soft. Apply creamy eye shadow with your fingertip. Blend it with a sponge applicator, or with a small synthetic brush.